Waiting on Wednesday is a weekly meme hosted by Jill at Breaking The Spine. It features each blogger's most anticipated books. 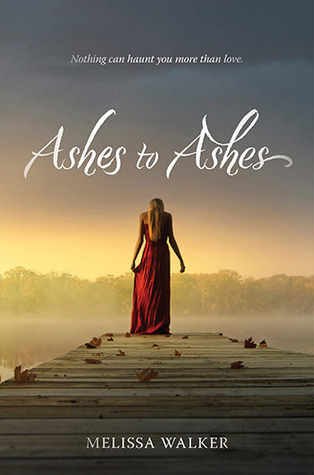 This week my pick is ASHES TO ASHES by Melissa C. Walker. "If I Stay meets the movie Ghost in this first book in a teen duology about a teenage-girl-turned-ghost who must cling to the echoes of her former life to save the people she left behind. As she fights to save them, Callie will learn that while it may no longer beat, her heart can still love-and break." Why I Can't Wait: You had me at IF I STAY meets the movie Ghost. Throw in Melissa C. Walker, and you've got a winner. I already know this book is going to be fabulous and unputdownable. I also have a feeling it's going to be an emotional roller coaster, and I can't wait to take a ride! Oooo YES. This was my pick last week---it looks AMAZING!! I totally agree with you! I will want to read this as well. Great pick. I'm right there with you on this one. I love Melissa Walker's books so that's enough to get me to read this one. Great WoW pick! I really like Walker's writing so I'm excited for this new release of hers-glad you're spotlighting it!